In 2012 we produced only 2 shows at Edinburgh. 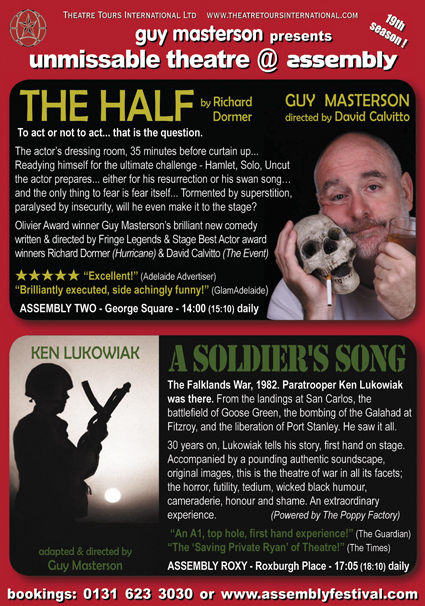 Guy Masterson's premiere of Richard Dormer's (Hurricane) hilarious backstage comedy, The Half... and a remound of our 1998 hit A Soldier's Song, starring Ken Lukowiak himself. Both were received with terrific acclaim.